In Skövde there is a lot to experience if you give yourself a little time. Museums, art, nature, everything depends on your interests. Skövde also offers calming activities like spa at Arena Skövde, actionadventures like laserdome and everything in between. You choose! Billingen is an official Vasalopp center for MTB, running and cross country skiing. In the recreational area you find unique training opportunities with close accomodation at a hotel, holiday cottages or youth hostel. Use the jogging tracks, go fishing in the little lake or go ice skating in the rink during the winter months. In the summertime you can use the nearby outdoor pool for swim training. At Billingen you have the perfect conditions to train for the classic's all branches - all year round! Do you throw yourself into the waves or do you prefer to be on land? 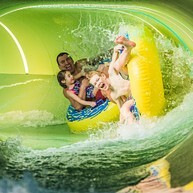 Either way you are welcome to the coolest water park in Sweden – open every day, all year round. You can relax from the intense adventure park at Aqua Vitalis – the relaxation area where you can sit down with your friends and enjoy good food, hot pools and beauty treatments. At the arena you also find bowling, restaurant and a gym. Interested in culture? Then you are in the right place! 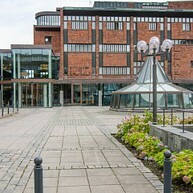 Skövde was the first town in Sweden to have a real Cultural Center that assembles a theatre, an art gallery, a museum of art, a library and a cinema. At the theatre you can see anything from local productions with high standard to beloved Swedish artists, comedians and international guests. Helénsstugan (Heléns Cottage) is the only building in Skövde that’s left from the time before the big city fire in 1759. It is probably built in the early 18th century. Together with several other old buildings it creates the Helénsparken. In the park you find a cozy outdoor café in the summer as well as a playground. Every year an event is hosted with a market full of arts, crafts and entertainment. All year round there is a café, design shop and a fairtrade shop etc. In this beautiful landscape with small lakes, flowing fields of gold, pasture land and hardwood forests you can drive around, hike or rent a bike and experience the six nature reserves. You can visit artists and craftsmen along the way, or why not stay overnight at one of the cozy accommodations in the area? Below you find a few tips on what to see and do. The Silver Fall The beautiful waterfalls the Silver fall is situated in the middle of the area. It is most popular during the spring, but is beautiful all year round with a unique fauna and nice walking tracks and picnic spots. Öglunda cave and Jättadalen After a steep walk you reach the top of this special nature, with lime stone pillars. The view is breathtaking, and is best in the sunset. Hiking in Valle In the area there are a lot of walking tracks that take you around and in between the many small lakes. The map is available at Skövde Tourist office. Lake Hornborga is one of Europe’s most important bird lakes and attracts large quantities of visitors, both birds and humans, every year. 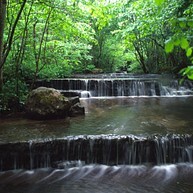 It is beautifully located at the foot of the mountain Billingen. 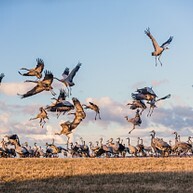 In the spring you can see the famous crane dance, and during the rest of the year there are a lot of other unique bird species to watch. Make a trip to the Visitor Center and learn more about Lake Hornborga and wetlands in general. Welcome to unreality! 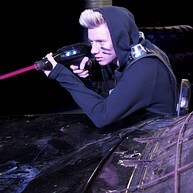 At Laserdome Action center there are activities that suit everyone. Here you can try laser dome, zoom camp, adventure mini golf and pentathlon. Bring your family, your friends or your colleagues and prepare for adventure! 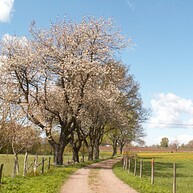 Vallby Sörgården is the first Cultural Reserve in Skaraborg. Located outside Tidan you find this well preserved farm from the 1800s. In the reserve you can enjoy the old recidence building, the agricultural landscape, farm buildings and a cultural walk. The style of the farm is typical for this area. At this interesting sight nothing has been changed since 1910 when the last renovation of the buildings took place. The furniture is still the same - nothing has been added or taken away! 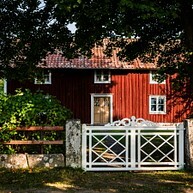 The association Vallby Sörgården makes sure that the farm stays alive by organizing activities with connection to the life of the farmers. During spring, summer and autumn you can join in on activities such as threshing, guided tours and mowing the crops. 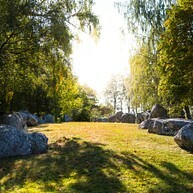 When you walk the cultural track you will experience the ancient cultural landscape, see the only runestone in Skövde and walk through the Iron Age grave field.